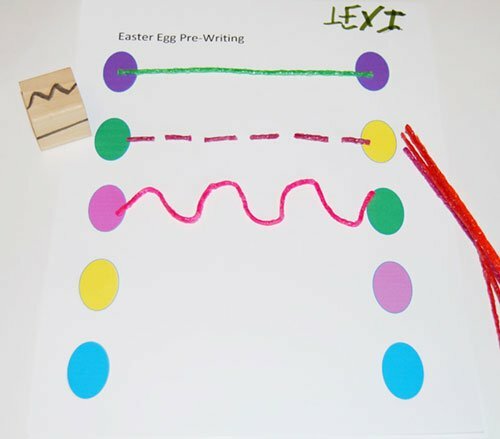 Easter Pre-Writing and Fine Motor Activity for Preschoolers! The development of fine motor skills and hand-eye coordination is crucial for preschoolers. Activities and manipulatives that help young kids develop small finger and hand muscles while encouraging hand-eye coordination, are a prerequisite for formal writing. 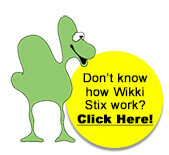 Come play and enhance those important skills this Easter with activities designed just for preschoolers with Wikki Stix! 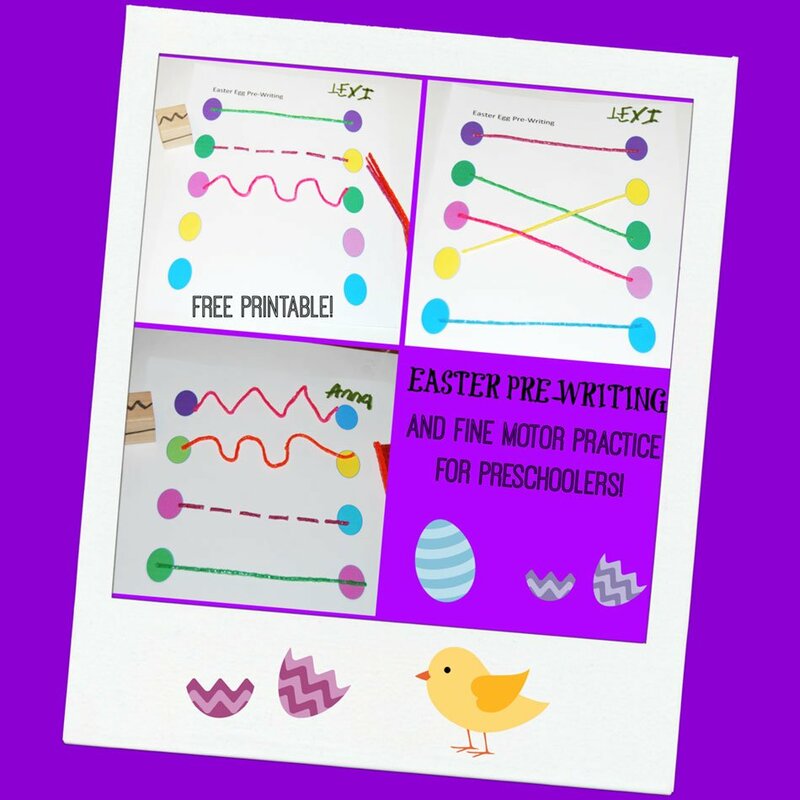 Easter Pre-Writing and Fine Motor Practice for Preschoolers! Prior to the activity: Print the Easter file (linked above) for each child and laminate for durability (if laminating supplies are not available, clear contact paper works, too). Make different line paths with a permanent marker on a small cube or die. Note: the line paths in the photo above are suggestions, but any line paths can be used. Invite the children to roll the cube and try to copy the line patterns rolled onto the Easter printable with Wikki Stix (see photo). Note: if a blank die is not available, make line paths for the kids to copy on index cards. Have the kids draw one card at a time and transfer the line path indicated by the card to the Easter printable. Extension idea: invite the children to create any line path on the printable with Wikki Stix. After finished creating the line paths, have the children use crayons or markers to trace below the Wikki Stix-created line path for additional practice. Prior to the activity: Print the Easter file (linked above) and laminate for durability. 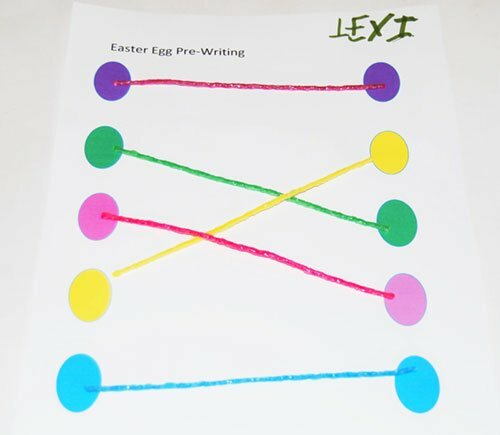 Invite the kids to use coordinating colors of Wikki Stix to create line paths to match the eggs on the left side to the same color of egg on the right side (see photo). 5 Little Easter Eggs – a created stick puppet rhyme for kids! 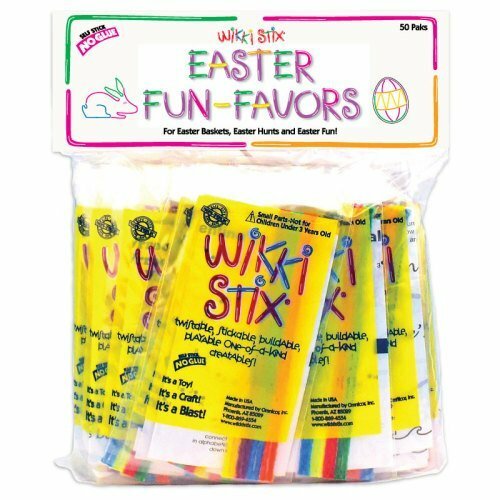 Wikki Stix Easter Crafts for Kids! Wikki Stix Bunny, Butterfly, and Carrot Crafts for Easter! MINION Egg Creations for Kids!